This rubric can be used to score science fair projects or as a guideline for students of what to include in their science fair project. 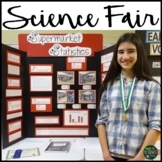 A short description and rubric used to assess students' science fair projects within the classroom. Based on Manitoba, Canada's 4-point grading scale. Science Fair Project with Rubric and Check in! This Rubric includes step by step directions, rubrics, examples, and planning sheet. 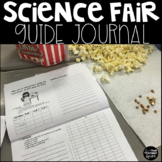 Science Fair: Guide, Rubrics, Contracts, and more! 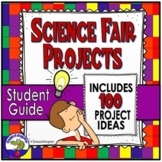 Science Fair Project Handbook - EVERYTHING YOU NEED!!! Like version 1, this is a 100 point rubric that allows you to thoroughly and fairly evaluate a students' science research project. This version has been slighlty modified for use by science fair judges. Complies with ISEF regualtions. This is a 100 point rubric that allows you to thoroughly and fairly evaluate a students' science research project. It is recommended that you give this to the students when you assign the project so they know what is expected of them.